A few days ago, we talked about a mummy still found in a state of Lotus position. 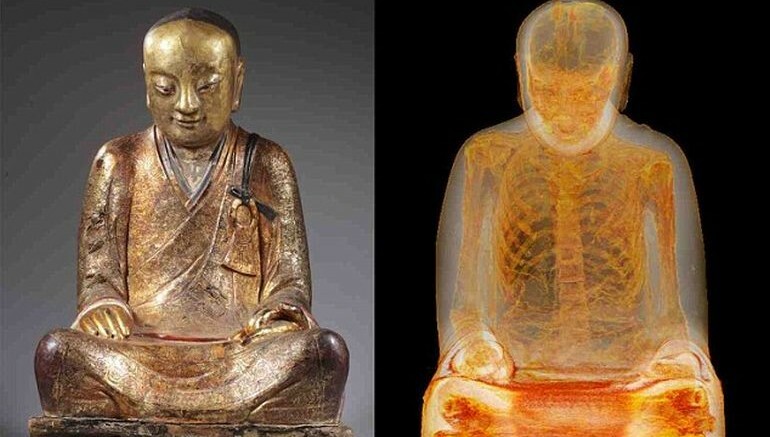 Well, this time around, researchers have found yet another mummy in the same serene position – but interred within an ancient Chinese statue! 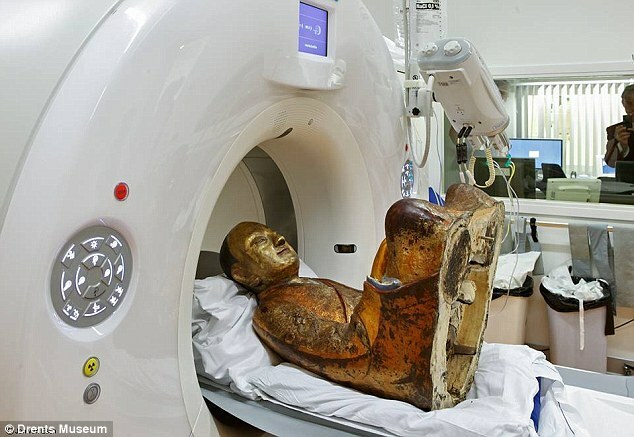 The discovery was made by historians at the the Drents Museum (Netherlands), with the find entailing a seemingly innocuous Buddha statue with a golden cast. 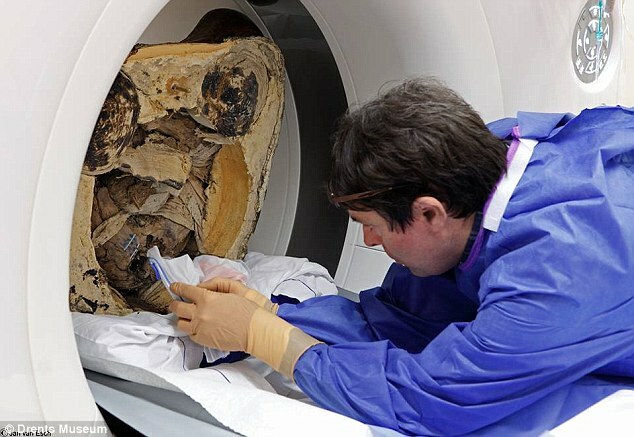 However, once the experts ran a CT scan, they found human remains inside the sculptural piece dated from more than 900 years ago. The remains are thought to be of Buddhist master Liu Quan, who was an eminent member of the Chinese Meditation School. 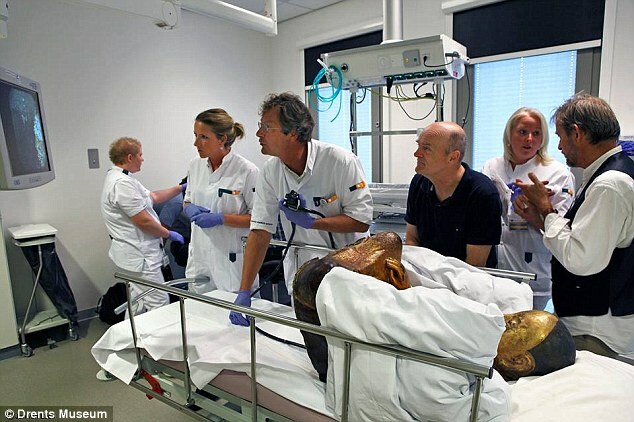 Quite interestingly, on further examination of the statue (carried out in Meander Medical Center in Amersfoort), the researchers found that the mummy had all his internal organs removed, which were then deftly replaced by paper rolls inscribed with intricate Chinese script. 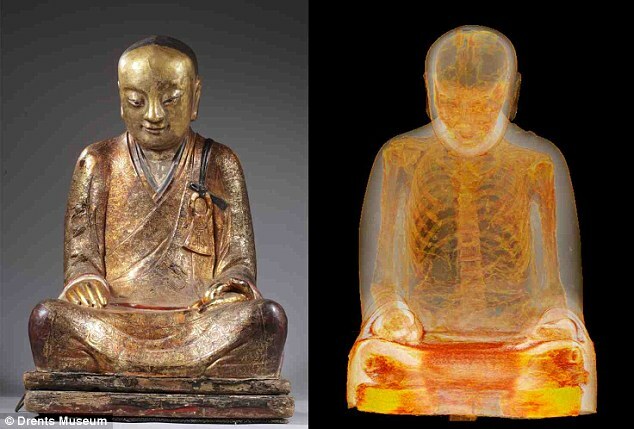 But even more intriguing (and horrific) is the museum’s hypothesis that Liu Quan might have opted for a dreadful process known as self-mummification, in a bid to become the ‘living Buddha’. This rigorous procedure entailed a specific kind of diet (of nuts, seeds and roots) undertaken by the monk for 2,000 days – that aided him in nigh getting rid of almost all of the body fat. And after this lengthy period, the monk finally took in a kind of poison derived from a tree sap used for Japanese lacquer. This induced him to vomit incessantly, thus snatching away most of the bodily fluids, while also making the body poisonous for bacteria and insects. Finally, the living monk was interred into a tomb equipped with a ventilation tube and a bell. So, when the monk lived, he could communicate with his followers via the ringing bell. And, when the bell stopped ringing, it was assumed that the monk breathed his last – and the tomb was sealed. Given the more than daunting demands of this grueling process, it doesn’t come as a surprise that there are very few monks who are actually venerated as ‘living Buddhas’ in our present times. As for the case of Master Liu Quan, historians are still not sure how or when the tomb was broken open to replace the body organs with the intricate scripts.